After quite long wait Tollywood gets a treasure called "Nidhhi"
Yes, that is non-other than Nidhhi Agerwal. Nidhhi’s first movie is Bollywood Movie Munna Michael with Tiger shroff. Now she has stepped into tollywood in "Savyasachi" Movie with Naga Chaithanya. Nidhhi had mesmerized the Telugu people with her acting and incomparable Beauty. SHE has given her 100% in the movie and her dances transfix the people eye. Now everyone who has seen the movie "Savyasachi" utterly say that she would be the next tollywood trend setter and Star heroine for a decade. Nidhhi’s unique style of acting made stand against a thick competition in Bollywood and tollywood. In the same way her fans all over hoping to see her in top line with top heroes in front line. As she is holding a handful of opportunities made it clear that is no far from the milestone which her fans are look at. Nidhhi also told in many interviews that she wants to work with her dream director Rajamouli. She is anyway working in Mr Majnu Movie with Akhil Akkineni. So if everything goes well with Nidhhi Agerwal we can see a All rounder, Glamorous and sparking girl in tollywood. The latest sensation of Kollywood, Dayana Erappa, who pairs with STR in Director Maniratnam's Chekka Chivantha Vaanam is from India's very own southern beauty hails from Coorg, Karnataka. She studied in Bangalore and had a masterful training under Prasad Bidappa during the 2011 Miss India, where she was the top 10 contestants of the pageant. In 2012, Dayana successfully represented India in Shanghai at Elite Model Look - the world's most prestigious international modelling contest. Dayana quickly created waves in the Indian and international fashion scene right from the onset of her career and has been a key part of top fashion projects and events such as Kingfisher Calendar 2015 and 2017, Lakmé Fashion Week, Amazon Fashion Week, Couture Week and many others. Her effortless beauty, panache and striking presence on the runway made her a designer favorite and a regular Fashion Magazine Princess. Dayana has shot international league editorials with top fashion magazines such as Vogue, ELLE, Harper's Bazaar, Cosmopolitan and GQ to name a few. She has been an integral part of campaigns for top designers & brands acrss Tarun Tahiliani, Manish Malothra, Anju Modi, Shantanu Nikhil, Gaurav Gupta, Suneet Verma, Anita Dongre, Payal Singhal, Monisha Jaising, Lifestyle, Bhima Jewellery and Azva Jewellery to name a few. ఓటు మీది - గెలుపు నాది..! నూతన్ నాయుడిగా ఉన్న నన్ను బిగ్ బాస్ నూతన్ నాయుడిగా చేసిన మీకూ, బిగ్ బాస్ కి నా హృదయపూర్వక కృతజ్ఞతలు. మీ అందరి ప్రేమాభిమానాలతో బిగ్ బాస్ లో రెండు వారాలు ఉన్నాను. హౌస్ లో ఉన్నప్పుడూ, బయటకు వచ్చిన తరువాత కూడా మీరు చూపించిన ఆదరణ, అభిమానం జీవితంలో ఎప్పుడూ మరచిపోలేను. అడక్కుండానే ఇంత గుర్తింపు ఇచ్చిన బిగ్ బాస్ ఇంకో అవకాశం ఇస్తున్నారు. ఇంతకుముందు ఎలిమినేట్ అయిన వారిలో ఒకరిని మళ్ళీ హౌస్ లోకి తీసుకు రావాలనేది బిగ్ బాస్ ఆలోచన. మీరు వేసే ఓట్ల ఆధారంగా నేను, భాను, శ్యామలలో ఎవరో ఒకరికి హౌస్ లో అడుగుపెట్టే అవకాశం దొరుకుతుంది. రెండో వారంలోనే బయటకు వచ్చేయటం వల్ల మిమ్మల్ని పూర్తిగా అలరించే అవకాశం, నన్ను నేను ఆవిష్కరించుకునే అవకాశం నాకు దొరకలేదు. ఈ సారి అవకాశం దొరికితే నా శక్తి సామర్ధ్యాలను పూర్తి స్థాయిలో వినియోగించుకోవాలని అనుకుంటున్నాను. దానికి మీ ఆదరణ కావాలి. మీ ఆశీస్సులు కావాలి. మీ కొండంత మద్దతు కావాలి. మీరంతా నావెంటే ఉన్నారని, ఉంటారని నా నమ్మకం. మరో సారి బిగ్ బాస్ లోకి అడుగుపెట్టే అవకాశాన్ని, మిమ్మల్ని మెప్పించగలిగే అదృష్టాన్ని ఇస్తారని ఆశిస్తున్నాను. మీ ఓటు రాతల్ని, తలరాతల్నీ మారుస్తుంది. కొత్త చరిత్రల్ని సృష్టిస్తుంది. కొత్త అధ్యాయాల్ని లిఖిస్తుంది. మీ ఓటు నన్ను గెలిపిస్తుందని, నడిపిస్తుందని నా నమ్మకం. ఆట నాది అభిమానం మీది. నా గెలుపైనా ఓటమైనా అదెప్పుడూ మీదే. మీ నిర్ణయమే నాకు శిరోధార్యం. I know I'm already late, but here I'm writing down my thoughts on Mega Star Chiranjeevi's Khaidi No 150. Usually, I write this on the day one itself but I am late and finally here's my first on this year and starting off with Boss' film. Since the time, the remake announcement was made, many people expressed their opinions about the film's end result. I am somehow sure that Khaidi No 150 will become a big hit with everyone associated with the project is an expert in making Successful Commercial Cinema. And it has come true too! So, here are my thoughts on the film. Let me start it with Mega Star Chiranjeevi! The man who kept every genuine movie lover waiting for almost a decade is back with a bang. Chiranjeevi worked very hard and he was successful in making all of us believe that he is not 61 and age is just a number. At the age of 61. the commitment and dedication he showed in playing the dual roles of the film is highly commendable. As Kaththi Seenu and K Shankar, Chiranjeevi is excellent on screen. While I liked Kaththi Seenu in parts, I fell in love with K Shankar character. As VV Vinayak said, Chiranjeevi is looking much younger and handsome than what he was a decade back, I found it to be an accurate statement. Whatte Screen Presence and What a performance he has brought in to entertain the audiences. Excellent Stuff! Honestly writing, I failed to see any strong character in the film. Both Kaththi Seenu and K Shankar appeared normal. The transformation of Kaththi Seenu is convincing, but there is hardly any Kaththi Seenu left in the movie as most of the time we can see Chiranjeevi as K Shankar alone! The behaviour or the character of Kaththi Seenu was not established correctly as we can see no big differences between both the characters and they behave in a similar manner while delivering dialogues or while being emotional. This might go well when both of them are twins, but when they are two different persons, I expect two separate shades and two different variations for the character. Though both Kaththi Seenu and K Shankar finally come closer in behaviour, in the end, they should at least show some difference in character behaviours from the beginning. I felt it that way.! From the beginning, I was sure that the female lead in the film would be just another character who would get the scope to dance in songs and smile (sometimes cry) in scenes. There is really nothing significant to mention that Kajal did well in the film, but the fact is that she looked beautiful and added glamour to the screen. The main antagonist Tarun Arora appeared expressionless to me! VV Vinayak said that Tarun has got a fresh face and that is the reason he cast the actor in the film. But the director failed to look at the dubbing aspect for this villain. That routine voice for the villain brought no freshness to the character. I felt young actors like Nandoo, Aadi Pinisetty or any other Telugu actor would have given an opportunity for the villain role which might have brought complete freshness to the character. Or, the makers would have at least made an experiment with dubbing for the villain like they added Hema Chandra voice for Aravind Swamy in Dhruva. This Tarun Arora never actually looked powerful or scary in the film, and I always knew that he is going to lose in the hands of our commercial hero. I watched Kaththi long back before this remake announcement was made. Almost, Vinayak has followed the original and executed the same for the Telugu version. There are not really any significant changes for the Telugu version. Even that would sometimes help for becoming a big hit. While everyone has doubt that why these people chose a remake, Vinayak in a recent interview answered in a single line. "We want a HIT." There are no other reasons to remake Kaththi, and they are sure that they want a HIT. 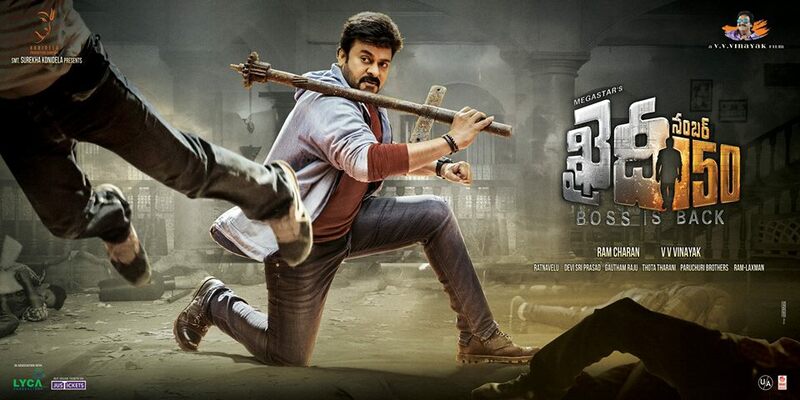 The first half an hour of the film Khaidi No150 is pretty average as it progressed as per the super successful Telugu commercial film formula. After that, when K Shankar entered the screen, it is completely a different movie. The way that particular part was executed and the way Chiranjeevi performed is outstanding! I wish there were no breaks (unnecessary and forced comedy track which hardly made me laugh) in the film's emotional flow. The fights and songs are also a part of the formula which was taken extra care for the fans. Chiranjeevi is fab in all the songs dancing like a young guy. I am sure many young guys would also fail to match him who is 61. What a grace Bossuuu!!! The songs in the second half are really like speed breakers but even before I could tell this to me, Chiranjeevi's presence on screen made me forget that complaint. Technically, the film is grand! The writing is Decent. The cinematography is excellent. DSP's background score reminded me of Anirudh's in Kaththi. I wish DSP either tried something new or copied Anirudh's. The film unit of Khaidi No 150 played a very safe game by not doing any experiments. But they could have done some experiment to make Khaidi No 150 an excellent film when compared to the original. To keep it simple, I 'liked' the film except for that boring comedy track. Now, I sincerely wish that Chiranjeevi start playing the roles of his age. 150 films. Numerous Blockbusters and Many Super Hits. Chiranjeevi did all that he could do and achieved Mega Star Position in the film industry. There is nothing that he can prove now. So, I request him to start doing content/subject driven subjects more from now. That would be really great! What If Chiranjeevi appears in a role like this? Chiranjeevi being a part of a honest and realistic story as a character!! I wish that happen..
శ్రీ వెంక‌టేశ్వ‌ర సినీ పిక్చ‌ర్స్ ప‌తాకంపై నాగేష్ సి.హెచ్ నిర్మాత‌గా బేబీ దివ్య ప్రియ స‌మ‌ర్ప‌ణ‌లో ఎ.వి.ఫ‌ణీశ్వ‌ర్ (తుఫాన్) ద‌ర్శ‌క‌త్వంలో రూపొందుతున్న చిత్రం `ప‌క్కాప్లాన్`. సుభాష్ , నాగేష్ ,భ‌వానీ, యువ‌రాణి ప్ర‌ధాన పాత్ర‌ల్లో న‌టిస్తున్న ఈ చిత్ర టీజ‌ర్ లాంచ్ ఈ రోజు ప్ర‌సాద్ ల్యాబ్స్ లో జ‌రిగింది. ఈ కార్య‌క్ర‌మానికి ముఖ్య అతిథులుగా విచ్చేసిన ప్ర‌స‌న్న కుమార్, తుమ్మ‌లప‌ల్లి రామ స‌త్య‌నారాయ‌ణ చేతుల మీదుల‌గా టీజ‌ర్ ఆవిష్క‌ర‌ణ జ‌రిగింది. అనంత‌రం ప్ర‌స‌న్న కుమార్ మాట్లాడుతూ...`హ‌ర్ర‌ర్ చిత్రాలు ప్ర‌స్తుతం బాగా ఆడుతున్నాయి. ఈ త‌రుణంలో `ప‌క్కాప్లాన్` లాంటి మంచి టైటిల్ తో హ‌ర్రర్ చిత్రాన్ని నిర్మించ‌డం మంచి ప్లాన్. టైటిల్ లాగే, టీజ‌ర్ కూడా చాలా డిఫ‌రెంట్ గా ఉంది. కొత్త‌వారైనా కంటెంట్ ఉంటే చాలు సినిమా హిట్ చేయ‌వ‌చ్చ‌ని ఇటీవ‌ల చాలా చిత్రాలు నిరూపించాయి. అలాగే ఓ కొత్త టీమ్ చేస్తున్న ఈ ప్ర‌య‌త్నం ఫ‌లించాల‌ని` కోర‌కుంటున్నా`అన్నారు. తుమ్మ‌ల‌ప‌ల్లి రామ‌స‌త్య‌నారాయ‌ణ మాట్లాడుతూ...`టైటిల్, టీజ‌ర్ రెండూ కూడా చాలా క్యూరియాసిటీ క‌లిగిస్తున్నాయి. ప్రేమ్ స‌మ‌కూర్చిన నేప‌థ్య సంగీతం ఆక‌ట్టుకునే విధంగా ఉంది. టీజ‌ర్ లోనే ద‌ర్శ‌కుడి ప్ర‌తిభ ఏంటో తెలిసిపోతుంది. టీమ్ అంద‌రికీ ఆల్ ది బెస్ట్` అని చెప్పారు. సంగీత ద‌ర్శ‌కుడు ప్రేమ్ ఎల్.ఎమ్ మాట్లాడుతూ...`నేను గ‌తంలో రాంగోపాల్ వ‌ర్మ‌గారి చిత్రాల‌కు ప‌నిచేశా. ఓ రోజు ఈ చిత్ర‌ ద‌ర్శ‌కుడు క‌లిసి సినిమా స్టోరీ నేరేట్ చేశారు. చాలా రోజుల త‌ర్వాత ఏకంగా సినిమా తీసుకొని వ‌చ్చి, ఈ సినిమాకు మీ నేప‌థ్య సంగీతంతో ప్రాణం పోయాల‌న్నారు. నేప‌థ్య సంగీతానికి స్కోపున్న సినిమా కావ‌డంతో ఎంతో ఇష్ట‌ప‌డి ఆర్. ఆర్ చేశాన‌న్నారు. ద‌ర్శ‌కుడు ఎ.వి.ఫ‌ణీశ్వ‌ర్ (తుఫాన్)...`ఓ కొత్త పాయింట్ తో హ‌ర్ర‌ర్ , స‌స్పెన్స్, థ్రిల్ల‌ర్ సినిమాగా ఈ చిత్రాన్ని తెర‌కెక్కించాము. మా నిర్మాత ప‌క్కాప్లాన్, మా టీమ్ అంద‌రి హార్డ్ వ‌ర్క్ తో ఈ సినిమా అనుకున్న స‌మ‌యానికి, అనుకున్న విధంగా చేయ‌గలిగాము. ఇందులో న‌టించిన వారంద‌రూ కొత్త వారైన‌ప్ప‌టికీ ఎంతో అనుభవం ఉన్న న‌టీన‌టుల్లా న‌టించారు. ప్రేమ్ సంగీతం సినిమాకు ఆయువు ప‌ట్టు` అని తెలిపారు. నిర్మాత, హీరో నాగేష్ సి.హెచ్ మాట్లాడుతూ...`మా ద‌ర్శ‌కుడు తుఫాన్ గారు అనుకున్న‌ది అనుకున్న‌ట్టుగా తీసారు. 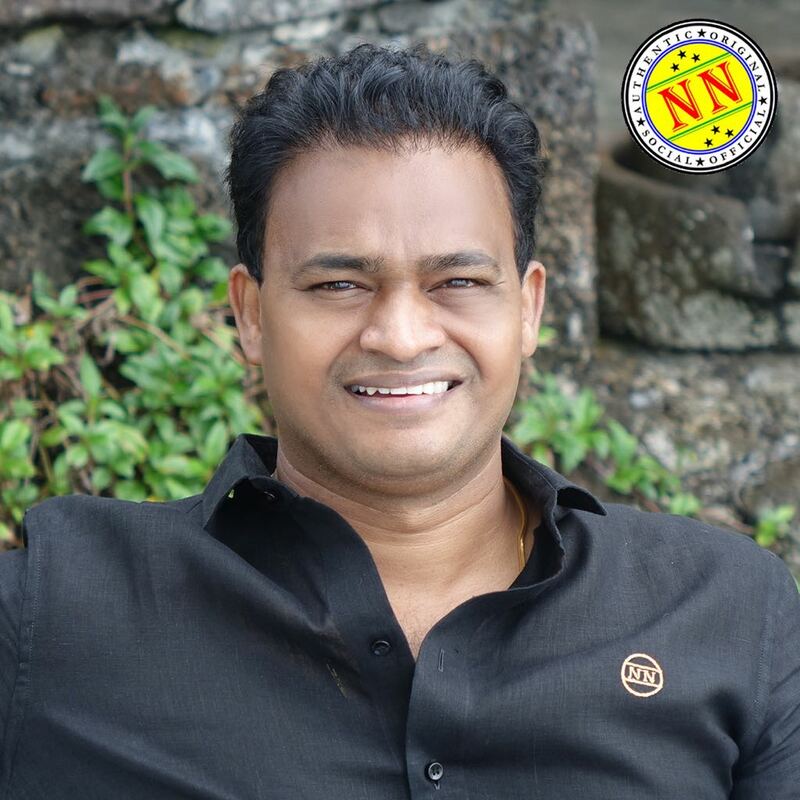 ఇలాంటి టీమ్ తో వ‌ర్క్ చేయడం చాలా సౌక‌ర్యంగా ఉంది. త్వ‌ర‌లో సెన్సార్ పూర్తి చేసి సినిమాను విడుద‌ల చేయ‌డానికి ప‌క్కా ప్లాన్ జ‌రుగుతోందని` చెప్పారు. న‌టుడు, కో-డైర‌క్ట‌ర్ ఏ. య‌స్. రావు మాట్లాడుతూ...`ప‌క్కా ప్లానింగ్ తో సినిమా చేసాం. ప్రేమ్ గారి మ్యూజిక్ హైలెట్. మా ద‌ర్శ‌కుడి ప్ర‌తిభ ఏంటో ఇప్ప‌టికే టీజ‌ర్ చూసిన మీకు అర్థ‌మ‌య్యే ఉంటుంది. కాబ‌ట్టి మా టీమ్ అంద‌రినీ ఆశీర్వ‌దిస్తార‌ని ఆశిస్తున్నా` అన్నారు. ఇంకా ఈ కార్య‌క్ర‌మంలో పాల్గొన్న సుభాష్, నాగ‌రూప అవ‌కాశం ప‌ట్ల ఆనందాన్ని వ్య‌క్తప‌రిచారు. 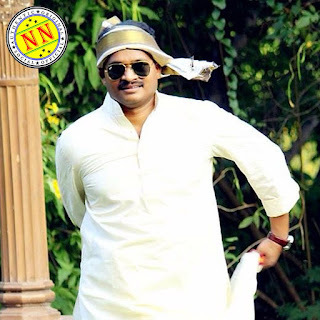 Vinavayya Ramayya fame naga anvesh gearing up his second project. 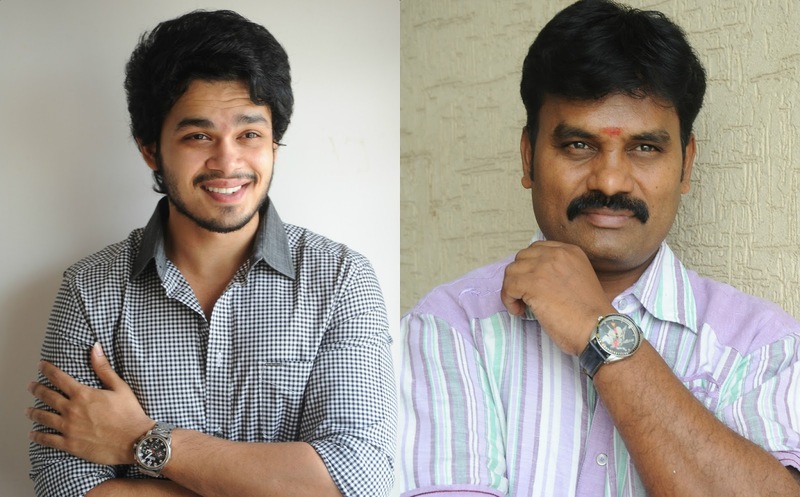 Under Sarswathi films Banner Sri Sindurapuvu krishnareddy is producing the film. New Director Bahubali palani is going to direct this movie. Kumari 21f fame heba patel is going to share the screen with naga anvesh. anjel is the official title for this carzy project. As a hero naga anvesh gets good remarks with his debut film. now he is trying something different story said, Sindurapuvu krishnareddy. on the other hand As per our sources this story is a combination of love, comedy and emotion with some secret plot hidden inside. other details will be announced soon. కథ, కథనాలు పై ఆసక్తి, నమ్మకంతోనే తన రెండో చిత్రానికి పూనుకున్నామని అంటున్నాడట..'వినవయ్యా రామయ్య' ఫేమ్ నాగ అన్వేష్... 'ఇంట్లో ఇల్లాలు వంటిట్లో ప్రియురాలు' చిత్రంతో బాల నటుడిగా గుర్తింపు తెచ్చుకుని... ఆ తరువాత హీరోగా అరంగేట్రం చేసిన మొదటి సినిమాతోనే నటుడిగా ప్రేక్షకుల మెప్పుపొందిన నాగ అన్వేష్ ప్రస్తుతం తన రెండో సినిమాకు సంబంధించిన పనుల్లో బిజీగా ఉన్నాడు. దర్శకధీరుడు రాజమౌళి దగ్గర టాలీవుడ్ బిగ్గెస్ట్ హిట్ 'బాహుబలి'కి దర్శకత్వ శాఖలో సహాయకుడిగా పనిచేసిన 'బాహుబలి'పళని ఈ చిత్రాన్ని తెరకెక్కించబోతున్నాడు. అయితే తన రెండో సినిమా కోసం ఎన్నో కథలు విన్న నాగ అన్వేష్ చివరకు 'బాహుబలి' పళని చెప్పిన కథనే ఎన్నుకున్నాడనాకి అసలు కారణం 'బాహుబలి'కి వచ్చిన ఫలితమే అనే కామెంట్స్ సైతం వినిపిస్తున్నాయి. ఇక ఈ చిత్రం ఎప్పుడు మొదలవ్వబోతుంది. హీరోయిన్ ఎవరు తదితర విషయాలు ఇంకా తెలియాల్సి ఉంది. మరి ఈ ప్రాజెక్ట్ లో నాగ అన్వేష్ ను 'బాహుబలి' పళని ఎలా చూపబోతున్నాడో.. వీరిద్దరు కలిసి ప్రేక్షకుల్ని ఏ రీతిన మెప్పిస్తారో చూడాలి..